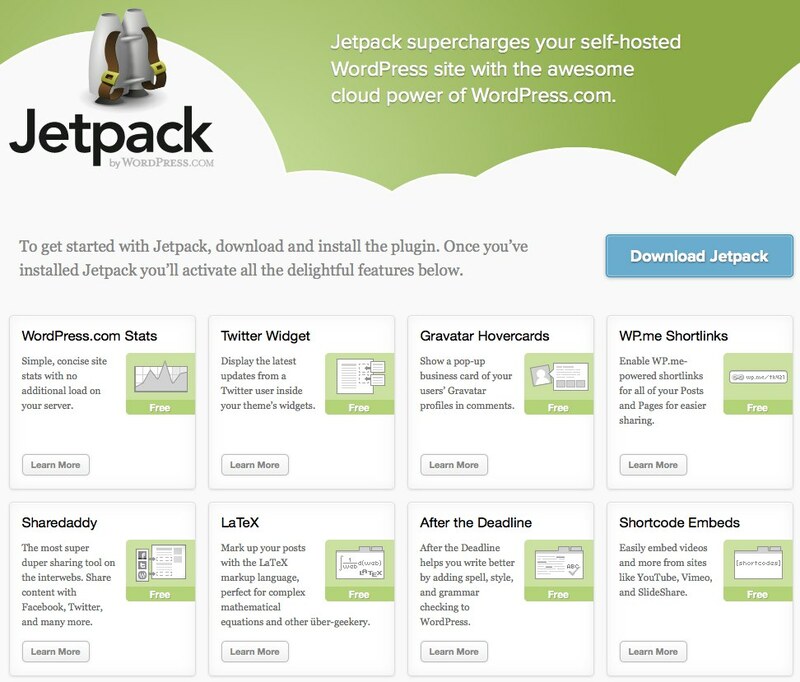 26 ноября обновился плагин Jetpack для WordPress. Jetpack произведен авторами WordPress, поэтому полностью работоспособен и безопасен. Enhancement: WPCC / now called SSO: refactored. Enhancement: Monitor: new module which will notify you if your site goes down(http://jetpack.me/support/monitor/). Enhancement: Custom CSS: replace Ace editor with Codemirror. Enhancement: Widgets: new “Display Posts” widget. Enhancement: WP-CLI: add commands to disconnect a site and manage modules. Enhancement: Contact Form: new filters, grunion_contact_form_field_html and grunion_should_send_email. Enhancement: Custom Post Types: new restaurant post type. Enhancement: Genericons: update to version 3.0.2. Enhancement: Infinite Scroll: many improvements and fixes. Enhancement: MP6: Jetpack icons are now compatible with WordPress 3.8. Enhancement: Open Graph: better descriptions, fallback images, and media extraction from video posts. Enhancement: Publicize: new background token tests for connected publicize services and display problems on settings sharing and add new post. Enhancement: Shortcodes: updated Bandcamp shortcode to support the tracklist and minimal attributes, as well as more artwork attribute values. Enhancement: Shortlinks: add Custom Post Type support. Enhancement: Subscriptions: add more ways to customize the subscriptions widget. Enhancement: Twitter Cards: better media management and card type detection, and better handling of conflicts with other Twitter Cards plugins. Enhancement: better handling of conflicts with other plugins. Bug Fix: After the Deadline: add a typeof check for tinyMCEPreInit.mceInit to prevent js errors. Bug Fix: Carousel: speed improvements and several bugfixes. Bug Fix: Contact Form: remove nonce creating issues with caching plugins. Bug Fix: Custom Post Types: Testimonials: return if featured image is empty so it can be removed after it’s been set. Bug Fix: Featured Content: add additional post type support through the additional_post_types argument. Bug Fix: Google Authorship: support apostrophes in Google+ profiles. Bug Fix: Google Authorship: use a regexp Instead of using mb_convert_encoding, which doesn’t enjoy universal support. Bug Fix: Heartbeat: ensure that it never triggers more than once per week. Bug Fix: JSON API: add new ?meta= parameter that allows you to expand the data found in the meta->links responses. Bug Fix: JSON API: add new is_private response to the sites endpoint and global_ID response to the reader and post endpoints. Bug Fix: Mobile Theme: allow small images to display inline. Bug Fix: Mobile Theme: fix fatal errors for missing minileven_header function. Bug Fix: Photon: fix errors when an image is not uploaded properly. Bug Fix: Shortcodes: improvements to Archives, Google+, Presentations, Vine and Youtube. Bug Fix: Tiled Galleries: improve display of panoramic images and fix errors when an image is not uploaded properly.